WATERFRONT ESTATE FOR DISCRIMINATING BUYER Exquisite home with high end finishes and entertaining floor plan. Lush landscape, gated entries, and koi ponds. 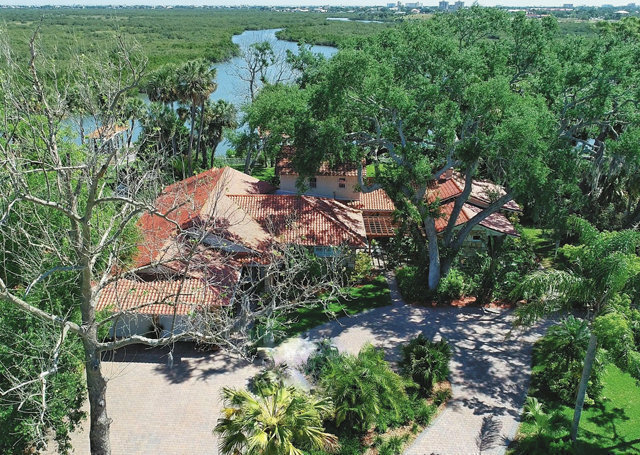 Dock with intracoastal access 3BR, 4BA, great room, family room, study, library and chefs kitchen with two 11' center islands. Hickory flooring throughout with exception of bath areas. Each bedroom has a private bath. Owner's wing includes sitting area, luxury tub for two, and fireplace. Views from every room. $1,650,000. Franci Davis . 386-690-6880 . francidavisnsb@gmail.com www.CoastalAndCountryProperties.com .